Copeland was considered a prodigy who rose to stardom despite not starting ballet until the age of 13. Two years later, in 1998, her ballet teachers, who were serving as her custodial guardians, and her mother, fought a custody battle over her. Meanwhile, Copeland, who was already an award-winning dancer, was fielding professional offers. The legal issues involved filings for emancipation by Copeland and restraining orders by her mother. Both sides dropped legal proceedings, and Copeland moved home to begin studying under a new teacher, who was a former ABT member. Misty Copeland was born in Kansas City, Missouri, but raised in the San Pedro community of Los Angeles, California, the daughter of Sylvia DelaCerna and Doug Copeland. Her father is of German and African American descent, while her mother is of Italian and African American ancestry, and was adopted by African American parents. She is the youngest of four children from her mother's second marriage and has two younger half-siblings, one each from her mother's third and fourth marriages. Copeland did not see her father between the ages of two and twenty-two. Her mother, a former Kansas City Chiefs cheerleader, had studied dance. She is a trained medical assistant, but worked mostly in sales. Between the ages of three and seven, Copeland lived in Bellflower, California, with her mother and her mother's third husband, Harold Brown, a Santa Fe Railroad sales executive. The family moved to San Pedro, where Sylvia eventually married her fourth husband, radiologist Robert DelaCerna and where Misty attended Point Fermin Elementary School. When she was seven, Copeland saw the film Nadia on television and its subject Nadia Comăneci became her new role model. Copeland never studied ballet or gymnastics formally until her teenage years, but in her youth she enjoyed choreographing flips and dance moves to Mariah Carey songs. Following in the footsteps of her older sister Erica, who had starred on the Dana Middle School drill team that won statewide competitions, Copeland became captain of the Dana drill team. Her captaincy was only a part of her responsibilities; she was also the sixth grade class treasurer and a hall monitor that year. Copeland's natural grace came to the attention of her classically trained Dana drill team coach, Elizabeth Cantine, in San Pedro. By 1994, Copeland's mother had separated from Robert. After living with various friends and boyfriends, DelaCerna moved with all of her children into two small rooms at the Sunset Inn in Gardena, California. In early 1996, Cantine convinced Copeland to attend a ballet class at her local Boys & Girls Club. Cynthia Bradley, a friend of Cantine's, taught a free ballet class at the club once a week. Copeland attended several classes as a spectator before participating. DelaCerna allowed Copeland to go to the club after school until the workday ended. Bradley invited Copeland to attend class at her small ballet school, San Pedro Dance Center. Copeland initially declined the offer, however, because her mother did not have a car, was working 12–14 hours a day, and her oldest sister Erica was working two jobs. Copeland began her ballet studies at the age of 13 at the San Pedro Dance Center when Cynthia Bradley began picking her up from school. After three months of study, Copeland was en pointe. Her mother told Copeland that she would have to give up ballet, but Bradley wanted Copeland to continue and offered to host her. DelaCerna agreed to this, and Copeland moved in with Bradley and her family. Eventually, Copeland and DelaCerna signed a management contract and a life-story contract with Bradley. Copeland spent the weekdays with the Bradleys near the coast and the weekends at home with her mother, a two-hour bus ride away. Copeland would spend most of her next three years with the Bradleys. By the age of fourteen, Copeland was the winner of a national ballet contest and won her first solo role. The Bradleys introduced Copeland to books and videos about ballet. When she saw Paloma Herrera, a principal ballerina with ABT, perform at the Dorothy Chandler Pavilion, Copeland began to idolize her as much as she did Mariah Carey. The media first noticed her when she drew 2,000 patrons per show as she performed as Clara in The Nutcracker at the San Pedro High School after only eight months of study. She played a larger role as Kitri in Don Quixote at the San Pedro Dance Center and then performed with the L.A. Academy of Fine Arts in a featured role in The Chocolate Nutcracker, an African American version of the tale, narrated by Debbie Allen. The latter was presented at UCLA's Royce Hall. Copeland's role was modified especially for her, and included ethnic dances. During this period, Copeland received far more personal attention from the Bradley family than her mother could give each of her six children. Raised in a lapsed Christian household, when Copeland lived with the Bradley family, she attended their synagogue and celebrated Shabbat with them, enjoying their family's closeness. In addition to Bradley's intensive ballet training, her husband, a modern-dance teacher, served as Copeland's pas-de-deux instructor and partner. The summer before her fifteenth birthday, Bradley began to homeschool Copeland for 10th grade to free up more time for dance. At fifteen years old, Copeland won first place in the Los Angeles Music Center Spotlight Awards at the Chandler Pavilion in March 1998. Copeland said it was the first time she ever battled nervousness. The winners received scholarships between $500 and $2500. Copeland's victory in the 10th annual contest among gifted high school students in Southern California secured her recognition by the Los Angeles Times as the best young dancer in the Greater Los Angeles Area. Copeland attended the summer workshop at the San Francisco Ballet School in 1998. She and Bradley selected the workshop over offers from the Joffrey Ballet, ABT and Dance Theater of Harlem, among others. Of the programs she auditioned for, only New York City Ballet declined to make her an offer. San Francisco Ballet, ABT and New York City Ballet are regarded as the three preeminent classical ballet companies in the US. During the six-week workshop at San Francisco, Copeland was placed in the most advanced classes and was under a full tuition plus expenses scholarship. At the end of the workshop, she received one of the few offers to continue as a full-time student at the school. She declined the offer because of the encouragement from her mother to return home, the prospect of continuing personal training from the Bradley family and dreams of a subsequent summer with American Ballet Theatre. Copeland returned to her mother's home, where the two frequently argued. Her mother had long resented the Bradleys' influence and soon decided that Copeland would cease study with the Bradleys. Copeland was distraught with fear that she would not be able to dance. She had heard the term emancipation while in San Francisco; the procedure was common among young performers to secure their financial and residential independence. The Bradleys introduced Copeland to Steven Bartell, a lawyer who explained the emancipation petition process. The Bradleys encouraged her to be absent from home when the emancipation petition was delivered to her mother. Copeland ran away from home for three days and stayed with a friend, while Bartell filed the emancipation papers. After her mother reported Copeland missing, she was told about the emancipation petition. Three days after running away, Copeland was returned to her mother by the police. DelaCerna engaged lawyer Gloria Allred and applied for a series of restraining orders, which included the Bradleys' five-year-old son, who had been Copeland's roommate, and Bartell. The order was partly intended to preclude contact between the Bradleys and Copeland, but it did not have proper legal basis, since there had been no stalking and no harassment. The custody controversy was highly publicized in the press (especially Los Angeles Times and Extra), starting in August and September 1998. Parts of the press coverage spilled over into op-ed articles. The case was heard in Torrance, in the Superior Court of Los Angeles County. DelaCerna claimed that the Bradleys had brainwashed Copeland into filing suit for emancipation from her mother, Allred claimed that the Bradleys had turned Copeland against her mother by belittling DelaCerna's intelligence. The Bradleys noted that the management contract gave them authority over her career, but they stated that they would wait until Copeland became eighteen before seeking twenty percent of Copeland's earnings. The dismissal of the emancipation petition accomplished Sylvia's main goal of keeping the family bonds intact and strong, without interference by third parties. ... Another concern of Sylvia in filing a request for restraining orders was that she did not believe it was in Misty's best interest to have continuing contact with the Bradleys. In the sworn declarations filed by the Bradleys in response to the restraining order they said that "we have not and will never do anything to interfere with Misty's relationship with her mother." ... Since Sylvia has accomplished all of the goals that she intended to achieve when she filed her papers with the court we have chosen not to proceed to seek an injunction in this matter. After DelaCerna stated that she would always make sure Copeland could dance, both the emancipation papers and restraining orders were dropped. Copeland, who claimed she did not understand the term emancipation, withdrew the petition after informing the judge that such charges no longer represented her wishes. Still, DelaCerna wanted the Bradleys out of her daughter's life. Copeland re-enrolled at San Pedro High School for her junior year (1998–99), on pace to graduate with her original class of 2000. DelaCerna sought Cantine's advice on finding a new ballet school. Copeland began ballet study at Lauridsen Ballet Centre in Torrance with former ABT dancer Diane Lauridsen, although her dancing was now restricted to afternoons in deference to her schooling. Late in 1998, all parties appeared on Leeza Gibbons' talk show, Leeza, where Copeland sat silently as the adults "bickered shamelessly". As a student, Copeland had a 3.8/4.0 GPA through her junior year of high school. In 2000, DelaCerna stated that Copeland's earnings from ballet were set aside in a savings account and only used as needed. Copeland auditioned for several dance programs in 1999, and each made her an offer to enroll in its summer program. She performed with ABT as part of its 1999 and 2000 Summer Intensive programs. By the end of the first summer, she was asked to join the ABT Studio Company. Her mother insisted that she finish high school, and so Copeland returned to California for her senior year, even though ABT arranged to pay for her performances, housing accommodations and academic arrangements. She studied at the Summer Intensive Program on full scholarship for both summers and was declared ABT's National Coca-Cola Scholar in 2000. In the 2000 Summer Intensive Program, she danced the role of Kitri in Don Quixote. Copeland's strongest memory from the summer is working with choreographer Twyla Tharp on Push Comes to Shove". Of the 150 dancers in the 2000 Summer Intensive Program, she was one of six selected to join the junior dance troupe. In September 2000, she joined the ABT Studio Company, which is ABT's second company, and became a member of its Corps de ballet in 2001. As part of the Studio Company, she performed the Pas de Deux in Tchaikovsky's The Sleeping Beauty. Eight months after joining the company, she was sidelined for nearly a year by a lumbar stress fracture. When Copeland joined the company, she weighed 108 pounds (49.0 kg) (she is 5 feet 2 inches (1.57 m) tall). At age 19, her puberty had been delayed, a situation common in ballet dancers. After the lumbar fracture, her doctor told her that inducing puberty would help to strengthen her bones, and he prescribed birth control pills. Copeland recalls that in one month she gained 10 pounds, and her small breasts swelled to double D-cup size: "Leotards had to be altered for me ... to cover my cleavage, for instance. I hated this sign that I was different from the others. ... I became so self-conscious that, for the first time in my life, I couldn't dance strong. I was too busy trying to hide my breasts." Management noticed and called her in to talk about her body. The professional pressure to conform to conventional ballet aesthetics resulted in body image struggles and a binge eating disorder. Copeland says that, over the next year, new friendships outside of ABT, including with Victoria Rowell and her boyfriend, Olu Evans, helped her to regain confidence in her body. She explained, "My curves became an integral part of who I am as a dancer, not something I needed to lose to become one. I started dancing with confidence and joy, and soon the staff at ABT began giving me positive feedback again. And I think I changed everyone's mind about what a perfect dancer is supposed to look like." During her years in the corps, as the only Black woman in the company, Copeland also felt the burden of her ethnicity in many ways and contemplated a variety of career choices. Recognizing that Copeland's isolation and self-doubt were standing in the way of her talent, ABT's artistic director, Kevin McKenzie, asked writer and arts figure Susan Fales-Hill, then vice-chair of ABT's Board of Directors, to mentor Copeland. Fales-Hill introduced Copeland to Black women trailblazers who encouraged Copeland and helped her to gain perspective. Early career reviews mentioned Copeland as more radiant than higher ranking dancers, and she was named to the 2003 class of Dance Magazine's "25 to Watch". In 2003, she was favorably reviewed for her roles as a member of the corps in La Bayadère and William Forsythe's workwithinwork. Recognition continued in 2004 for roles in ballets such as Raymonda, workwithinwork, Amazed in Burning Dreams, Sechs Tänze, Pillar of Fire, "Pretty Good Year", "VIII" and "Sinfonietta, where she "stood out in the pas de trois – whether she was gliding across the floor or in a full lift, she created the illusion of smoothness". She also danced the Hungarian Princess in Tchaikovsky's Swan Lake. The 2004 season is regarded as her breakthrough season. She was included in the 2004 picture book by former ABT dancer Rosalie O'Connor titled Getting Closer: A Dancer's Perspective. Also in 2004, she met her biological father for the first time and regretted that she had not done so sooner. In 2005, her most notable performance was in George Balanchine's Tarantella. she also danced the Lead Polovtsian Girl in "Polovtsian Dances" from Prince Igor. In 2006, she was acknowledged for her meticulous classical performance style in Giselle and created a role in Jorma Elo's Glow–Stop. Elo said: "Misty has the capability to absorb something extremely fast and then reproduce it exactly, and she gives such clarity to the material. If I were to make my own company, she would be the first one I would call." That year, she also returned to Southern California to perform at Orange County Performing Arts Center and danced one of the cygnets and reprised her role as the Hungarian Princess in Swan Lake in New York. In both 2006 and 2007, Copeland danced the role of Blossom in James Kudelka's Cinderella. Copeland's "old-style" performance continued to earn her praise in 2007. In 2007, she danced the Fairy of Valor in The Sleeping Beauty. Other roles that Copeland played before she was appointed a soloist by ABT included Twyla Tharp roles in In the Upper Room and Sinatra Suite as well as a role in Mark Morris's Gong. A Dance Magazine feature stated that Copeland's "sublime rapport with her partners in ... Sinatra Suite has earned her the honor of dancing with the company's male superstars". Copeland was appointed a soloist at ABT in August 2007, one of the youngest ABT dancers promoted to soloist. Although, she was described by early accounts as the first African American woman promoted to soloist for ABT, Anne Benna Sims and Nora Kimball were soloists with ABT in the 1980s. Male soloist Keith Lee also preceded her. As of 2008, Copeland was the only African-American woman in the dance company during her entire ABT career. The only male African American in the company during her career, Danny Tidwell, left in 2005. In an international ballet community with a lack of diversity, she was so unusual as an African American ballerina, that she endured cultural isolation. She has been described in the press as the Jackie Robinson of classical ballet. Copeland was a standout among her peers. In her first season as a soloist at New York City Center, in which avant-garde ballets works were performed, she received good notices in The New York Times for a Balanchine Ballo della Regina role. Also in 2007, she created a leading role in C. to C. (Close to Chuck), choreographed by Jorma Elo to A Musical Portrait of Chuck Close, Études 2, 9 & 10, by Philip Glass. Her performances of Tharp's works in the same season were recognized, and she was described as more sophisticated and contemporary as a soloist than she had been as a corps dancer. Her summer 2008 Metropolitan Opera House (the Met) season performances in Don Quixote and Sleeping Beauty were also well received. During the 2008–09 season, Copeland was praised for performances in Twyla Tharp's Baker's Dozen and Paul Taylor's Company B. During the 2009 Spring ABT season at the Met, Copeland performed Gulnare in Le Corsaire and leading roles in Taylor's Airs and Balanchine's Pas de Deux from Swan Lake. Her 2008–09 Annenberg Fellowship included training for the Pas de Deux. Late that year, she performed in ABT's first trip to Beijing at the new National Center for the Performing Arts. In 2009, Copeland created a role in Aszure Barton's One of Three. In 2010, after recovering from a stress fracture, Copeland performed in Birthday Offering at the Met and at the Guggenheim Museum danced to David Lang's music. She also created the Spanish Dance in ABT artist-in-residence Alexei Ratmansky's new version of The Nutcracker, premiered at the Brooklyn Academy of Music. In early 2011, she was well received at the Kennedy Center as the Milkmaid in Ratmansky's The Bright Stream, a remake of a banned comic ballet. In Black History Month in 2011, Copeland was selected by Essence as one of its 37 Boundary-breaking black women in entertainment. That same month, she toured with Company B, performed at Sadler's Wells Theatre in London. In May, she created a role in Ratmansky's Dumbarton, danced to Stravinsky's chamber concerto, Dumbarton Oaks. Alastair Macaulay of The New York Times found the piece too intimate for the cavernous Met, but he noted: "Misty Copeland gives sudden hints of need and emotional bleakness in a duet ... too much is going on to explain itself at one viewing; but at once I know I'm emotionally and structurally gripped." Her Summer 2011 ABT solos included the peasant pas de deux in Giselle and, in Ratmansky's The Bright Stream at the Met in June, her reprise of the Milkmaid was called "luminous, teasingly sensual". She reprised the Bright Stream role again in July at the Dorothy Chandler Pavilion in Los Angeles with a performance described as "sly". As a flower girl, she was described as glittering in Don Quixote. In August, she performed at the Vail International Dance Festival in the Gerald Ford Amphitheater in Vail, Colorado. In November, she danced in Taylor's Black Tuesday. In 2012, Copeland began achieving solo roles in full-length standard repertory ballets rather than works that were mostly relatively modern pieces. A 2012 feature in Dance Magazine stated that Copeland's "classical repertoire ... has deepened in artistry with each season. In the peasant pas de deux from Giselle, she is buoyant and refreshingly lyrical, and her plush jumps in Swan Lake's pas de trois are a joy. As the Fairy of Valor in Sleeping Beauty, she tempers the harsh stabbing fingers and dagger-like pas de chats by uplifting her body with grandeur and, yes, valor." She starred in The Firebird, with choreography by Ratmansky at the Segerstrom Center for the Arts in Costa Mesa, California. It premiered on March 29, 2012. The performance was hailed by Laura Bleiberg in the Los Angeles Times as one of the year's best dance performances. That year, Copeland was recognized by The Council of Urban Professionals as their Breakthrough Leadership Award winner. She also danced the role of Gamzatti in La Bayadère at the Met to praise from Alastair Macaulay of The New York Times, who noted her "adult complexity and worldly allure". 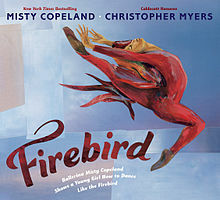 The Firebird was again performed at the Met in June 2012, with Copeland set to alternate in the lead. It was Copeland's first leading role at ABT. Backstage described it as her "most prestigious part" to date. After only one New York performance in the role, Copeland withdrew from the entire ABT season due to six stress fractures in her tibia. She was sidelined for seven months after her October surgery. Upon her return to the stage, she danced the Queen of the Dryads in Don Quixote in May 2013. Nelson George began filming a documentary leverage the chance to present her comeback. Copeland reprised her role as Gulnare in June 2013 in the pirate-themed Le Corsaire. She also played an Odalisque in the same ballet. Later in the year, she danced in Tharp's choreography of Bach Partita for Violin No. 2 in D minor for solo violin, and as Columbine in ABT's revival of Ratmansky's Nutcracker at the Brooklyn Academy of Music. In May 2014, Copeland performed the lead role of Swanilda in Coppélia at the Met. According to Los Angeles Times writer Jevon Phillips, she is the first African American woman to dance the role. The same month, she was praised in the dual role of Queen of the Dryads and Mercedes in Don Quixote by Brian Seibert of The New York Times, although Jerry Hochman of Critical Dance felt that she was not as impressive in the former role as in the latter. Later in May, the Met staged a program of one-act ballets consisting of Theme and Variations, Duo Concertant and Gaîté Parisienne, featuring Copeland in all three. Siebert praised her work as the lead in Balanchine's choreography of Igor Stravinsky's Duo Concertant for violin and piano performed by Benjamin Bowman and Emily Wong. Of her Flower Girl in Gaîté Parisienne, Apollinaire Scherr of The Financial Times wrote that she "tips like a brimming watering can into the bouquets her wooers hold out to her". Copeland was a "flawless" demi-soloist in Theme and Variations, according to Colleen Boresta of Critical Dance. In June 2014 at the Met, she danced the Fairy Autumn in the Frederick Ashton Cinderella, cited for her energetic exuberance in the role by Hochman, who missed the "varied texture and nuance that made it significantly more interesting" in the hands of ABT's Christine Shevchenko. That month, she played Lescaut's Mistress in Manon in which role Marjorie Liebert of BroadwayWorld.com described her as "seductive and ingratiating". Also in June, she performed the role of Gamzatti in La Bayadère. Copeland performed the Odette/Odile double role in Swan Lake in September when the company toured in Brisbane, Australia. Her ascension to more prominent roles occurred as three ABT principal dancers (Paloma Herrera, Julie Kent and Xiomara Reyes) entered their final seasons before retirement. In early October, Copeland performed several pieces including a principal role in Tharp's Bach Partita at Chicago's Auditorium Theatre. In October, Copeland made her New York debut in one of the six principal roles in Tharp's Bach Partita and created a role in Liam Scarlett's With a Chance of Rain. That December, when ABT revived Ratmansky's Nutcracker at the Brooklyn Academy of Music, Copeland played the role of Clara, the Princess. The same month, at the Kennedy Center Honors, she was described as "sublime" in Tchaikovsky's Pas de Deux by the New York City CBS News affiliate. In March 2015, Copeland danced the role of Princess Florine in The Sleeping Beauty at the Segerstrom Center for the Arts in Costa Mesa, California. She made her American debut as Odette/Odile in Swan Lake with The Washington Ballet, opposite Brooklyn Mack as Prince Siegfried, in April at the Eisenhower Theater in the John F. Kennedy Center for the Performing Arts. The performance was the company's first presentation of Swan Lake in its 70-year history. In May 2015, she played Cowgirl in Rodeo, Bianca in Othello and Zulma in Giselle. She was selected for the 2015 Time 100. As a result, Copeland appeared on the cover of Time, making her the first dancer on the cover since Bill T. Jones in 1994. In June, Copeland created the small role of the Fairy Fleur de farine (Wheat flower) in Ratmansky's The Sleeping Beauty. The same month, she made her debut in Romeo and Juliet on short notice a few days before her scheduled debut performance on June 20. Later in June, Copeland made her New York debut in the Odette/Odile double role from Swan Lake that is described by Macauley as "the most epic role in world ballet". Her performance at the Met was regarded as a success. Her performance in the role had been anticipated as a "a crowning achievement" in wide-ranging media outlets and by a broad spectrum of fans and supporters. Pioneering dancers Raven Wilkinson and Lauren Anderson were on hand to present her with bouquets on stage. Some viewed this performance as a sign that her promotion to principal was forthcoming. In March 2009, Copeland filmed a music video with Prince for a cover of "Crimson and Clover", the first single from his 2009 album Lotusflower. Prince asked her to dance along to the song in improvised ballet movements. She described his instructions as "Be you, feel the music, just move", and upon request for further instruction, "Keep doing what you're doing". She also began taking acting lessons in 2009. During the New York City and New Jersey portions of Prince's Welcome 2 America tour, Copeland performed a pas de deux en pointe to his song "The Beautiful Ones", the opening number at the Izod Center and Madison Square Garden. Prince had previously invited her onstage at a concert in Nice, France. In April 2011, she performed alongside Prince on the Lopez Tonight show, dancing to "The Beautiful Ones." In 2011, she was featured in the Season 1, episode 5 of the Hulu web series A Day in the Life. Copeland was a guest judge for the 11th season of FOX's So You Think You Can Dance. New Line Cinema has optioned her memoir, Life in Motion, for a screen adaptation, and the Oxygen network has expressed interest in producing a reality docuseries about Copeland mentoring a Master Class of aspiring young dancers. A Ballerina's Tale, a documentary film about Copeland, debuted at the Tribeca Film Festival in April 2015 and was released in theaters in October 2015. It was then aired in February 2016 as part of PBS' Independent Lens series. Dawn Heinecken, a professor of women's studies at the University of Louisville, described the film as "part of a calculated media campaign designed to launch Copeland into mainstream celebrity", but notes that film "directly [challenges] the ideology of white supremacy that undergirds the world of classical ballet." In May 2015, Copeland was featured on 60 Minutes in a segment with correspondent Bill Whitaker. The following month, she served as a presenter at the 69th Tony Awards. In July 2015, a black and white book, Misty Copeland: Power and Grace, was released by photographer Richard Corman, with an introduction by Cindy Bradley. The book contains photographs of Copeland dancing at sunrise on and around a baby grand piano that washed ashore under the Brooklyn Bridge. Copeland was included in the 2015 International Best Dressed List, published by Vanity Fair. In October 2015, she performed on The Late Show with Stephen Colbert accompanied by cellist Yo-Yo Ma, who played "Courante" from Bach's Cello Suite No. 2. In February 2016, Copeland and President Barack Obama were interviewed together in the first of a three part video series with Time and Essence magazines on topics of race, gender, achievement and creating opportunity for young people. The same month, she walked the runway at New York Fashion Week to support the American Heart Association's "Go Red for Women" campaign to increase awareness of the dangers of heart disease for women. She appeared in the March issue of Harper's Bazaar recreating Edgar Degas ballerina poses in a photospread ahead of a Museum of Modern Art exhibition: "Edgar Degas: A Strange New Beauty". The feature was favorably noted by several media outlets, but Sebastian Smee of The Boston Globe argued that contemporary ballet performers take Degas' ballet-themed work too seriously. Copeland was cast to dance the lead ballerina role in the forthcoming 2018 Disney film, The Nutcracker and the Four Realms, based on the 1816 story "The Nutcracker and the Mouse King". She also voiced herself on a 2016 episode of the animated TV series, Peg + Cat, "The Dance Problem/Follow The Bouncing Ball". In 2017, she appeared as a guest judge on World of Dance. In 2011, she unveiled a line of dancewear, called M by Misty, that she designed. She has also produced celebrity calendars. In 2014, Copeland released a memoir, Life in Motion: An Unlikely Ballerina, co-authored by Charisse Jones. Her 2014 children's picture book, titled Firebird, with illustrator Christopher Myers, has a message of empowerment for young people of color. In 2017, Copeland released a third book, Ballerina Body, a health and fitness guide. Copeland was featured in T-Mobile's ads for the BlackBerry in 2010 and an ad for Dr. Pepper in 2013. In 2013, she represented Coach, Inc. and became a spokesperson for Project Plié, a national initiative to broaden the pipeline of leadership within ballet. She also became a brand ambassador for Seiko in 2015. In 2016, Mattel created a Misty Copeland Barbie doll. Later that year, the Dannon Company hired Copeland as a spokesperson for its Oikos brand. In 2014, Copeland became a sponsored athlete for Under Armour, which paid her more than her ballet career. Her Under Armour women-focused ad campaign was widely publicized, and resulted in her being named an ABC World News Person of the week. The ad campaign was recognized by Adweek as one of The 10 Best Ads of 2014 and as "The year's best campaign targeting women". Copeland, along with Steph Curry and Jordan Spieth, was credited with boosting demand for Under Armour products. In February 2017, Copeland debuted her own collection of activewear for Under Armour. Shortly afterwards, she criticized statements by Under Armour founder and CEO Kevin Plank that praised Donald Trump, stressing that her sponsors should believe in the "importance of diversity and inclusion". Plank responded in an open letter to the Baltimore Sun to state that he supports "a diverse and inclusive America". In July 2017, Under Armour launched a digital ad campaign featuring Copeland, and at the end of that month she became the spokesperson for an Estée Lauder fragrance. W called her Estée Lauder campaign groundbreaking because cosmetics companies have rarely employed spokespersons other than models. In 2008, Copeland won the Leonore Annenberg Fellowship in the Arts, which funds study with master teachers and trainers outside of ABT. The two-year fellowships are in recognition of "young artists of extraordinary talent with the goal of providing them with additional resources in order to fully realise their potential". In 2013, she was named National Youth of the Year Ambassador by the Boys & Girls Clubs of America. In 2014, Copeland was named to the President's Council on Fitness, Sports, and Nutrition and received an honorary doctorate from the University of Hartford for her contributions to classical ballet and helping to diversify the art form. Copeland was a Dance Magazine Awards 2014 honoree. After her promotion as principal dancer, Copeland was named one of Glamour's Women of the Year for 2015; one of ESPN's 2015 Impact 25 athletes and influencers who have made the greatest impact for women in sports; and, by Barbara Walters, one of the 10 "most fascinating" people of 2015. In 2016, Copeland won a Shorty Award for Best in Dance in Social Media. Copeland and her husband, attorney Olu Evans, live on Manhattan's Upper West Side. The couple were introduced to each other around 2004 by Evans' cousin, Taye Diggs, and disclosed their engagement in a 2015 cover story in Essence magazine. They married in California on July 31, 2016. Copeland enjoys cooking and prefers to avoid crowded places. Copeland, Misty (with Charisse Jones) (2014). Life in Motion: An Unlikely Ballerina. Simon & Schuster. ISBN 978-1-4767-3798-0. Copeland, Misty (2014). Firebird. G.P. Putnam's Sons Books for Young Readers. ISBN 978-0-399-16615-0. Copeland, Misty (with Charisse Jones) (2017). Ballerina Body: Dancing and Eating Your Way to a Leaner, Stronger, and More Graceful You. Grand Central Life & Style. ISBN 978-1455596300. Calliope, Glass (with introduction by Misty Copeland) (2018). The Dance of the Realms. Los Angeles: Disney Press. ISBN 9781368020367. OCLC 1044565014. ^ "Misty Copeland". Playbill. Retrieved September 7, 2018. ^ a b Jennings, Luke (February 18, 2007). "One step closer to perfection: The best of Balanchine lights up London – but Stravinsky in Birmingham must not be missed". The Observer. Retrieved August 26, 2008. ^ a b Cooper, Michael (June 30, 2015). "Misty Copeland Is Promoted to Principal Dancer at American Ballet Theater". The New York Times. Retrieved June 30, 2015. ; and Feeley, Sheila Anne (July 1, 2015). "Historic 1st for ballet company". A.M. New York. p. 3. Retrieved July 1, 2015. ^ a b c d "Custody Hearing for Ballerina Rescheduled". Los Angeles Times. August 28, 1998. Retrieved August 24, 2008. ^ a b c d e f g Hastings, Deborah (November 1, 1998). "Teen dancer stumbles in adults' tug-of-war". SouthCoast Today. AP. Retrieved December 12, 2014. ^ a b c d e Farber, Jim (March 27, 2008). "This Swan is More than Coping". LA.com. Archived from the original on July 13, 2011. Retrieved January 17, 2011. ^ a b c d e f g "Misty Copeland". Ballet Theatre Foundation, Inc. Retrieved August 24, 2008. ^ a b Dunning, Jennifer (May 19, 2007). "For Ballet's Shifting Casts, a Big Question: Who Will Lift It to the Realm of Poetry?". The New York Times. Retrieved August 26, 2008. ^ Turits, Meredith (April 23, 2012). "Misty Copeland, American Ballet Theatre's First African-American Soloist in 20 Years, Talks Breaking Barriers with Aplomb". Glamour. Retrieved December 30, 2015. ^ a b c d e f g h i j k l m n o p q r s t Adato, Allison (December 5, 1999). "Solo in the City". Los Angeles Times. Retrieved August 24, 2008. ^ Winter, Jessica (June 17, 2010). "5 Things Misty Copeland Knows for Sure". O: The Oprah Magazine. Retrieved January 22, 2011. ^ a b Johnson, Tracy (December 18, 1996). "Leap of Faith: Mother and Daughter Part so Girl Can Follow Ballet Dream". Los Angeles Times. Retrieved February 25, 2016. ^ a b c d e f g h i j k l m n o p q r s t Sims, Caitlin (December 1998). "Battle Over Misty Copeland Draws Media – young ballet student center of controversy as to whether her parents or another family should direct her life". Dance Magazine. CNET Networks, Inc. Retrieved August 24, 2008. ^ a b McCrary, Crystal (Fall 2008). "A Tale of Two Swans". Uptown (Chicago). Miller Publishing Group (17): 100–103. ^ a b c Jerome, Richard; Cheakalos, Christina; Horsburgh, Susan (February 17, 2003). "Prodigies Grow Up". People. Retrieved August 24, 2008. ^ a b c d e Galchen, Rivka (September 22, 2014). "An Unlikely Ballerina: The rise of Misty Copeland". The New Yorker. Retrieved October 17, 2014. ^ Copeland and Jones, p. 81. ^ a b Haithman, Diane (March 21, 1998). "Giving Young Performers a Chance to Earn the Spotlight". Los Angeles Times. Retrieved January 17, 2011. ^ Cardenas, Jose (March 23, 1998). "Spotlight to Fall on Teenage Performers; Arts: Dorothy Chandler Pavilion will host the annual awards, which will feature 12 finalists competing for $2,500 and $500 scholarships". Los Angeles Times. Retrieved January 17, 2011. ^ a b c Glionna, John M. (September 1, 1998). "Ballet Prodigy's Life Undergoes More Twists; Courts: Mother drops request for restraining order against teachers. Girl withdraws emancipation plea". Los Angeles Times. Retrieved January 17, 2011. ^ a b c d "Misty Copeland: Should She Stay or Should She Go?". Los Angeles Times. January 16, 2000. Retrieved January 17, 2011. ^ a b Glionna, John M. (August 23, 1998). "Trapped in a Dispiriting Dance of Wills; Ballet: Prodigy's mother and former teacher are locked in legal duel over her". Los Angeles Times. Retrieved January 17, 2011. ^ "News in Brief: A summary of developments across Los Angeles County; Community News File / Torrance; Custody Hearing for Ballerina Rescheduled". Los Angeles Times. August 28, 1998. Retrieved January 17, 2011. ^ a b c Dunning, Jennifer (August 8, 2000). "Dance Review; Ballet Theater Shows Off a Nation's Students". The New York Times. Retrieved August 26, 2008. ^ "Spotlight Awards: The Spotlight Awards benefit from a variety of wonderful judges and presenters who mentor the young students through the Spotlight Awards process". The Music Center / Performing Arts Center. 2008. Archived from the original on July 22, 2008. Retrieved August 26, 2008. ^ Anderson, Jack (December 19, 2000). "Dance Review; A Classic Pas de Deux in the Hands of Talented Novices". The New York Times. Retrieved August 26, 2008. ^ Ossola, Cheryl (January 2003). "25 to watch – dancers". Dance Magazine. Archived from the original on July 11, 2012. Retrieved August 25, 2008. ^ Kisselgoff, Anna (May 13, 2003). "Ballet Theater Review; Jealousy and Betrayal In an Oriental Temple". The New York Times. Retrieved August 26, 2008. ^ Kisselgoff, Anna (October 28, 2003). "Ballet Theater Review; Choreographer Unfurls His Devotion To Process". The New York Times. Retrieved August 26, 2008. ^ a b Kisselgoff, Anna (November 4, 2004). "Dance Review – American Ballet Theater: Out of an Ensemble Emerge Two Individual Spirits". The New York Times. Retrieved August 26, 2008. ^ Kisselgoff, Anna (May 12, 2004). "Ballet Theater Review; Meaty Excerpts And Novelties Open a Season". The New York Times. Retrieved August 26, 2008. ^ Dunning, Jennifer (June 5, 2004). "Ballet Review; Giving a Classic a Jolt of Youthful Vigor". The New York Times. Retrieved August 26, 2008. ^ "Ballet Book Review Page". www.balletbooks.com and James White. Retrieved August 26, 2008. ^ Anderson, Jack (April 23, 2005). "Dance Review – A.B.T. Studio Company: Showcase Night for a Troupe of Performers-in-Progress". The New York Times. Retrieved August 26, 2008. ^ Dunning, Jennifer (June 17, 2006). "American Ballet Theater Presents 'Giselle' With Four Casts". The New York Times. Retrieved August 26, 2008. ^ Segal, Lewis (May 4, 2006). "Stylized swings from head to toe: American Ballet Theatre brings a bag of banging, nodding tricks to Orange County". Los Angeles Times. Retrieved January 23, 2011. ^ "American Ballet Theatre Names Five Soloists". ABT.org. July 5, 2007. Retrieved January 29, 2016. ^ "She's on Point: After seven years, ABT ballerina Misty Copeland becomes a soloist". Sixaholic. 2007. Retrieved August 26, 2008. ^ Jet. Johnson Publishing Company. March 19, 1981. pp. 64–. ISSN 0021-5996. ^ Kisselgoff, Anna (September 13, 1985). "Ballet Theater: Harvey in 'Giselle'". The New York Times. Retrieved September 24, 2008. ^ Anderson, Jack (June 6, 1987). "Dance: Tudoe's 'Dark Elegies,' By Ballet Theater". The New York Times. Retrieved September 24, 2008. ^ Harper, Francesca (July 30, 2000). "Dance; To Europe and Back, A Dancer's Odyssey Of Self-Discovery". The New York Times. Retrieved September 24, 2008. ^ Gillis, Casey (May 29, 2013). "Keith Lee Dances: Former American Ballet Theatre soloist starts professional company". The News & Advance. Retrieved January 22, 2016. ^ La Rocco, Claudia (September 21, 2007). "TV Viewers Discover Dance, and the Debate Is Joined". The New York Times. Retrieved August 27, 2008. ^ MacKrell, Judith (April 10, 2008). "Where are our black ballerinas? Britain's ballet companies must start to look further than the white middle classes for their talent". The Guardian. London. Retrieved April 17, 2010. ^ Goldhill, Olivia; Marsh, Sarah (September 4, 2012). "Where are the black ballet dancers?". The Guardian. Retrieved January 31, 2016. ^ Kourlas, Gia (May 7, 2007). "In ballet, blacks are still chasing a dream of diversity". International Herald Tribune. Archived from the original on September 4, 2012. Retrieved August 25, 2008. domestic version with alternate images: Kourlas, Gia (May 6, 2007). "Where Are All the Black Swans?". The New York Times. Retrieved August 26, 2008. ^ Howard, Rachel (November 12, 2007). "Choreographer of moment struts multidisciplinary stuff". San Francisco Chronicle. Hearst Communications Inc. Retrieved August 24, 2008. ^ Macaulay, Alastair (October 25, 2007). "Looking Behind, and a Little Bit Ahead". The New York Times. Retrieved August 24, 2008. ^ Macaulay, Alastair (October 30, 2007). "Watching as Venerable Choreographers Stretch". The New York Times. Retrieved August 24, 2008. ^ Dunning, Jennifer (October 31, 2007). "All Sorts of Steps, Strutted for a Cause". The New York Times. Retrieved August 27, 2008. ^ Macaulay, Alastair (November 1, 2007). "Swinging Into Comedy (and Along With Sinatra)". The New York Times. Retrieved August 27, 2008. ^ Sulcas, Roslyn (November 6, 2007). "Odes to an Ax Murderer From New England and a Singer From Hoboken". The New York Times. Retrieved August 27, 2008. ^ Sulcas, Roslyn (June 11, 2008). "Flashing Capes and Other Spanish Flourishes". The New York Times. Retrieved August 27, 2008. ^ Lobenthal, Joel (June 19, 2008). "'The Sleeping Beauty,' Served Straight Up". The New York Sun. Retrieved August 27, 2008. ^ Macaulay, Alastair (October 22, 2008). "A Season Opener Equipped With the Greatest Generation". The New York Times. Retrieved April 16, 2010. ^ Macaulay, Alastair (October 29, 2008). "One-Acts Infused With Fresh Blood Reawaken a Seasoned Company". The New York Times. Retrieved April 16, 2010. ^ a b c "Play Misty for me: An ABT soloist finds her Prince". Time Out. May 14–20, 2009. Archived from the original on February 11, 2010. Retrieved January 26, 2016. ^ "The Listings". The New York Times. May 15, 2010. Retrieved April 16, 2010. ^ Bloom, Julie (August 25, 2009). "Arts, Briefly; American Ballet Theater to Go to Beijing". The New York Times. Retrieved April 16, 2010. ^ La Rocca, Claudia (September 10, 2010). "Arabesques and Pirouettes on Parade". The New York Times. Retrieved January 22, 2011. ^ La Rocca, Claudia (October 5, 2010). "Catching Choreographers in the Act: Two Creations for a Percussive Beat". The New York Times. Retrieved January 22, 2011. ^ Macaulay, Alastair (December 24, 2010). "A 'Nutcracker' Sprouts Alter Egos". The New York Times. Retrieved January 28, 2016. ^ Kaufman, Sarah (January 23, 2011). "ABT's 'Bright Stream' seamlessly blends comedy and history". The Washington Post. Retrieved January 26, 2016. ^ Sangweni, Yolanda (February 1, 2011). "BHM: Boundary-Breaking Black Women in Entertainment". Essence. Archived from the original on February 4, 2011. Retrieved February 2, 2011. ^ "American Ballet Theatre – Programme Two, Sadlers Wells". Ballet News. February 3, 2011. Archived from the original on February 6, 2011. Retrieved February 3, 2011. ^ a b Milzoff, Rebecca (May 8, 2011). "The Muse: An ABT ballerina becomes an inspiration for Prince". New York. Retrieved June 27, 2011. ^ Harss, Marina (June 11, 2011). "Having Fun at the Ballet". The Faster Times. Archived from the original on June 13, 2011. Retrieved June 27, 2011. ^ Macaulay, Alastair (May 25, 2011). "A Big House, Big Names, New Twists". The New York Times. Retrieved June 27, 2011. ^ "Dance review: American Ballet Theatre dances 'The Bright Stream' at the Dorothy Chandler Pavilion". Los Angeles Times. July 15, 2011. Retrieved August 15, 2011. ^ "Dance Review: With the Matadors, Capes, Gypsies and Dancing, Who Needs a Plot?". The New York Times. May 18, 2011. Retrieved June 27, 2011. ^ Bleiberg, Laura. "Best in dance for 2012". Los Angeles Times. Retrieved January 12, 2013. ^ "CUP Executive Leadership Program (2013)" (PDF). Council of Urban Professionals. 2013. Retrieved January 30, 2016. ^ "A Profusion of Tiger Killers and Their Temple Maidens". The New York Times. June 15, 2012. Retrieved June 6, 2014. ^ Wolf, Stephanie (December 4, 2011). "Alexei Ratmansky Choreographs New Firebird for ABT". Dance Informa. Retrieved June 6, 2014. ^ a b Catton, Pia (May 6, 2012). "New Wings for an Old Bird". The Wall Street Journal. Retrieved June 6, 2014. ^ "June 17 — 23". The New York Times. June 15, 2012. Retrieved June 6, 2014. ^ Kay, Lauren (June 15, 2014). "Misty Copeland Breaks Ground at American Ballet Theatre". Backstage. Retrieved June 6, 2014. ^ Acocella, Joan (June 25, 2012). "Bring in the Ballerinas". The New Yorker. Archived from the original on September 5, 2013. Retrieved June 6, 2014. ^ La Ferla, Ruth (December 18, 2015). "The Rise and Rise of Misty Copeland". The New York Times. Retrieved February 4, 2016. ^ "The incredible story of ballerina who beat all the odds to become first African American to perform solo in New York for 20 Years". Daily Mail. June 3, 2013. Retrieved January 26, 2016. ^ Boresta, Colleen (June 2013). "American Ballet Theatre: Le Corsaire". Critical Dance magazine. Retrieved January 26, 2016. ^ Macaulay, Alastair (June 5, 2013). "Byron's Gloomy Pirate Tale, With Bikini Tutus Added: 'Le Corsaire,' American Ballet Theater". The New York Times. Retrieved January 26, 2016. ^ Hochman, Jerry (December 21, 2013). "NY Nutcrackers: American Ballet Theatre and New York City Ballet". Critical Dance. Retrieved January 28, 2016. ^ "The Nutcracker: Ended 22 Dec 2013 after 9 days". NewYorkCityTheatre.com. Retrieved January 28, 2016. ^ Griffin, Julia (August 8, 2014). "Grit and limbs propelled Misty Copeland's improbable rise through ballet's ranks". PBS. Retrieved September 4, 2014. ^ Macaulay, Alastair (June 1, 2014). "Love-Struck Hero in a Quandary: The Other Woman's a Real Doll: 'Coppélia' Returns to American Ballet Theater Repertory". The New York Times. Retrieved September 4, 2014. ^ a b Phillips, Jevon (June 11, 2014). "Misty Copeland: A trailblazing ballerina makes the judge's table". Los Angeles Times. Retrieved January 26, 2016. ^ Seibert, Brian (May 16, 2014). "Spain, With a Touch of Denmark: Alban Lendorf Performs in 'Don Quixote'". The New York Times. Retrieved January 26, 2016. ^ Hochman, Jerry (May 30, 2014). "American Ballet Theatre: Gala & Don Quixote: Metropolitan Opera House, New York, NY; May 12 & 14, 2014". Critical Dance. Retrieved January 26, 2016. ^ a b Boresta, Colleen (May 29, 2014). "American Ballet Theatre: Theme and Variations, Duo Concertant, Gaite Parisienne: Metropolitan Opera House, New York, NY; May 21(m), 2014". Critical Dance. Retrieved January 27, 2016. ^ Seibert, Brian (May 21, 2014). "The Parisian Life Beckons, Waiting to Become Unforgettable: American Ballet Theater Performs Gaîté Parisienne". The New York Times. Retrieved January 26, 2016. ^ Scherr, Apollinaire (May 22, 2014). "Gaîté Parisienne, American Ballet Theatre, New York – review". Financial Times. Retrieved January 27, 2016. ^ Hochman, Jerry (June 17, 2014). "American Ballet Theatre: Cinderella: Metropolitan Opera House, New York, NY; June 9, 10, 2014". Critical Dance. Retrieved January 26, 2016. ^ Liebert, Marjorie (August 1, 2014). "BWW Reviews: Misty Copeland - A Star Is Rocketing at American Ballet Theatre". Broadwayworld.com. Retrieved January 26, 2016. ^ "Casting Announced for Third and Fourth Weeks of ABT'S 2014 Spring Season At Metropolitan Opera House". ABT.org. May 1, 2014. Retrieved January 28, 2016. ^ Hochman, Jeremy. "American Ballet Theatre: La Bayadère". Critical Dance. Retrieved November 6, 2014. ^ Loeffler-Gladstone, Nicole. "Misty Copeland to Debut as Odette/Odile in "Swan Lake"". Pointe. Archived from the original on September 6, 2014. Retrieved September 4, 2014. ^ Jones, Deborah (September 4, 2014). "Swan's maiden flight brings joy to the heart". The Australian. Retrieved September 4, 2014. ^ Cooper, Michael (September 30, 2014). "Three Ballet Theater Principals to Retire". The New York Times. Retrieved October 17, 2014. ^ Molzahn, Laura (September 30, 2014). "ABT dancer Misty Copeland talks about roles on and off the stage". Chicago Tribune. Retrieved February 3, 2016. ^ Seibert, Brian (October 30, 2014). "No Respite for the Eye as Ballet Hierarchy Meets Bach to the Tune of a Solo Violin: Ballet Theater Performs Bach Partita". The New York Times. Retrieved February 3, 2016. ^ "ABT Brings The Nutcracker to BAM Howard Gilman Opera House, Beginning Tonight". Broadwayworld.com. December 12, 2014. Retrieved January 28, 2016. ^ Kaufman, Sarah (November 12, 2014). "Misty Copeland to make Swan Lake debut with Washington Ballet". The Washington Post. Retrieved November 22, 2014. ^ "The Washington Ballet To Make Historic Debut of Swan Lake With Renowned Ballerina Misty Copeland". Ballet News. November 19, 2014. Retrieved November 22, 2014. ^ Kaufman, Sarah (April 16, 2015). "Misty Copeland on 2015 Time 100". The Washington Post. Retrieved April 28, 2015. ^ Cooper, Michael (April 16, 2015). "Misty Copeland Makes the Cover of Time Magazine". The New York Times. Retrieved April 28, 2015. ^ Macaulay, Alastair (June 21, 2015). "Review: Three Romeo and Juliet Performances, Including Julie Kent's Farewell". The New York Times. Retrieved February 3, 2016. ^ a b Macaulay, Alastair (June 25, 2015). "Review: Misty Copeland Debuts as Odette/Odile in Swan Lake". The New York Times. Retrieved February 3, 2016. ^ Noveck, Jocelyn (June 25, 2015). "A sense of history at American Ballet Theater as Misty Copeland debuts Swan Lake in New York". U.S. News & World Report. Associated press. Retrieved February 3, 2016. ^ Watts, Heather (July 2015). "How Ballerina Misty Copeland Became A.B.T. 's First African-American Swan Queen". Vanity Fair. Retrieved February 3, 2016. ^ Catton, Pia (June 25, 2015). "Misty Copeland Takes the Stage in Swan Lake: American Ballet Theatre soloist adds her own flourish to the role of Odette/Odile". The Wall Street Journal. Retrieved February 3, 2016. ^ Bailey, Alyssa (June 26, 2015). "Watch Misty Copeland Make Her Stunning Debut In Swan Lake". Elle. Retrieved February 3, 2016. ^ Catton, Pia (June 30, 2015). "Misty Copeland Promoted to Principal Dancer at American Ballet Theatre". The Wall Street Journal. Retrieved June 30, 2015. ^ Noveck, Jocelyn. "Misty Copeland named first black female principal at ABT", Associated Press, June 30, 2015. Arthur Mitchell is credited as the first dancer to break the color barrier as a male principal dancer with New York City Ballet in 1962, and Desmond Richardson did the same at ABT in 1997. ^ "For Black Principal Dancers, Rarefied Air". The New York Times. June 30, 2015. Retrieved January 27, 2016. ^ Cooper, Michael (July 5, 2015). "Misty Copeland of American Ballet Theater to Join On the Town". The New York Times. Retrieved July 8, 2015. ^ Song, Jean (July 6, 2015). "Misty Copeland seeks new challenge in Broadway debut". CBS News. Retrieved July 8, 2015. ^ Kourlas, Gia (August 26, 2015). "Misty Copeland Makes Her Broadway Debut in On the Town". The New York Times. Retrieved August 28, 2015. ^ Marks, Peter (August 26, 2015). "Misty Copeland brings star power to On the Town". The Washington Post. Retrieved August 28, 2015. ^ Quinn, Dave (August 27, 2015). "Misty Copeland Makes Glorious Broadway Debut in On the Town". WNBC. Retrieved August 28, 2015. ^ Scheck, Frank (August 26, 2015). "On the Town: Theater Review". The Hollywood Reporter. Retrieved August 28, 2015. ^ "American Ballet Theatre Sets Dancers for 2015 Fall Season at Koch Theatre". BroadwayWorld.com. July 28, 2015. Retrieved February 4, 2016. ^ "Casting Announced for ABT's The Nutcracker at Segerstrom Center This Winter". Broadwayworld.com. August 18, 2015. Retrieved January 28, 2016. ^ Bleiberg, Laura (July 14, 2017). "How La Scala Ballet will get a special star – Misty Copeland – for one night". Los Angeles Times. Retrieved August 1, 2017. ^ Haithman, Diane (May 2, 2009). "Prince and pointe shoes: ABT soloist dishes about video". Los Angeles Times. Retrieved April 16, 2010. ^ Cohen, Stefanie (December 26, 2010). "Prince finds a ballet muse". New York Post. Retrieved January 22, 2011. ^ "Close to Misty". California Chronicle. Archived from the original on March 12, 2012. Retrieved January 22, 2011. ^ "Prince Plays the Classics & Debuts a New Song!". Turner Broadcasting System, Inc. April 14, 2011. Retrieved April 16, 2011. ^ "Misty Copeland On 'A Day In The Life' (Video)". Hulu. Retrieved September 8, 2011. ^ "Morgan Spurlock 'A Day In The Life': Original Series Premieres On Hulu (Video)". The Huffington Post. August 17, 2011. Retrieved September 8, 2011. ^ Phillips, Jevon (June 11, 2014). "Misty Copeland: A trailblazing ballerina makes the judge's table". Los Angeles Times. Retrieved August 1, 2014. ^ Yamato, Jen (August 14, 2014). "'Blind Side' Meets Ballet: New Line Eyes Biopic Of Dance Star Misty Copeland". Deadline Hollywood. Retrieved August 15, 2014. ^ Goldberg, Lesley (November 18, 2014). "Misty Copeland Docuseries Among Oxygen Development Slate (Exclusive)". The Hollywood Reporter. Retrieved November 22, 2014. ^ Frank, Priscilla (November 20, 2014). "Ballerina Of Our Dreams Misty Copeland Is Getting a Reality Show". The Huffington Post. Retrieved November 22, 2014. ^ Mogilevskaya, Regina (April 20, 2015). "Tribeca Film Festival Review: Nelson George's "A Ballerina's Tale"". Blouin Art Info International. Retrieved April 28, 2015. ^ "Exclusive Trailer Debut: The Misty Copeland Documentary A Ballerina's Tale". Vanity Fair. September 4, 2015. Retrieved September 5, 2015. ^ Ziv, Stav (February 3, 2016). "A Ballerina's Tale: Misty Copeland Documentary to Air on PBS". Newsweek. Retrieved February 9, 2016. ^ Ziv, Stav (February 8, 2016). "Review A Ballerina's Tale follows Misty Copeland's incredible rise in the ballet world". Los Angeles Times. Retrieved February 9, 2016. ^ Heinecken, Dawn (April 26, 2017). "Documenting the Black Ballerina in A Ballerina's Tale: The Limits of Celebration". Quarterly Review of Film and Video. 34 (7): 606–628. doi:10.1080/10509208.2017.1313062. ISSN 1050-9208. ^ "Misty Copeland". CBS News. May 10, 2015. Retrieved May 11, 2015. ^ Shattuck, Kathryn (May 10, 2015). "What's on TV Sunday". The New York Times. Retrieved May 11, 2015. ^ "Presenters Announced For 2015 Tony Awards". WCBS. May 28, 2015. Retrieved June 30, 2015. ^ "Photographer Richard Corman Captures Misty Copeland's Power and Grace in New Book". Broadwayworld.com. July 27, 2015. Retrieved September 22, 2016. ^ Corman, Richard (August 7, 2015). "Capturing Misty Copeland's Power and Grace". The Huffington Post. Retrieved September 22, 2016. ^ Hyland, Véronique (August 5, 2015). "Amal Clooney, FKA Twigs, Misty Copeland Make Vanity Fair's Best-Dressed List". New York. Retrieved August 6, 2015. ^ Waxman, Olivia B. (October 6, 2015). "Watch Misty Copeland and Yo-Yo Ma Perform on The Late Show With Stephen Colbert". Time. Retrieved October 8, 2015. ^ "Read the Full Transcript of TIME's Conversation With President Obama and Misty Copeland". Time; print version appears in Vol. 187, No. 11, Issue dated March 28, 2016, pp. 56–60. March 14, 2016. ^ Scott, Sydney (March 14, 2016). "Exclusive: President Obama and Misty Copeland Talk Black Girl Magic and the Importance of Social Movements". Essence. ^ Bahadur, Nina (February 12, 2016). "Misty Copeland Looked Absolutely Stunning on the Runway at Fashion Week". Self. Retrieved March 2, 2016. ^ Mooallem, Stephen (February 10, 2016). "Misty Copeland and Degas: Art of Dance". Harper's Bazaar. Retrieved March 2, 2016. ^ Bowerman, Mary (February 11, 2016). "Ballerina Misty Copeland recreates Degas' dancers in 'Harper's Bazaar' shoot". USA Today. Retrieved March 2, 2016. ; Kim, Eun Kyung (February 11, 2016). "On pointe! Ballerina Misty Copeland re-creates Degas dancers in Harper's Bazaar photos". Today. Retrieved March 2, 2016. ; Wilson, Julee (February 17, 2016). "Misty Copeland Recreates Edgar Degas Masterpieces, Takes Our Breath Away". The Huffington Post. Retrieved March 2, 2016. ; and Thompson, Dana (February 10, 2016). "Ballerina Misty Copeland re-creates famous artwork". Houston Chronicle. Retrieved March 2, 2016. ^ Smee, Sebastian (February 11, 2016). "Like Misty Copeland's Degas photos? There are hard truths behind them". The Boston Globe. Retrieved March 2, 2016. ^ "The Dance Problem/Follow The Bouncing Ball". KET. Retrieved December 25, 2017. ^ Petski, Denise (September 8, 2016). "Sandra Oh & Misty Copeland to Guest Star On Peg + Cat PBS Kids Series". Deadline Hollywood. Retrieved September 16, 2016. ^ Kile, Meredith B. "Exclusive: Jennifer Lopez, Ne-Yo, Derek Hough & Misty Copeland Score Big in World of Dance Sneak Peek!". ET Online. Retrieved August 1, 2017. ^ "Misty Copeland Targets an Untapped Market with New Line M By Misty". Jones. December 12, 2011. Archived from the original on January 3, 2012. Retrieved December 13, 2011. ^ Wilson, Julee (November 13, 2012). "Misty Copeland, American Ballet Theatre Ballerina, Creates Stunning 2013 Calendar (Photos)". The Huffington Post. Retrieved November 15, 2012. ^ Cepeda, Esther (May 7, 2014). "Ballerina's lonely rise inspires hope". Columbia Daily Tribune. Retrieved May 8, 2014. ^ "Firebird". Random House. Retrieved September 15, 2015. ^ Kelly, Cara (March 21, 2017). "Misty Copeland's best advice for achieving a 'Ballerina Body'". USA Today. ^ "This is Why She Rocks". OliveCoco. December 20, 2010. Archived from the original on July 14, 2011. Retrieved January 22, 2011. ^ Pathak, Shareen Pathak (December 28, 2012). "See the Spot: Dr Pepper Highlights Individuals with Unique Stories". Advertising Age. Retrieved January 12, 2013. ^ Wilson, Julee (December 18, 2013). "Misty Copeland Teams Up With Coach To Show Off Her Love Of Dance & Leather Goods (VIDEO)". The Huffington Post. Retrieved August 2, 2016. ^ Catton, Pia (September 12, 2013). "Dancing Toward Diversity: Misty Copeland To Be Face of Project Plié". The Wall Street Journal. Retrieved September 14, 2013. ^ "Seiko Corporation of America Signs Two New Brand Ambassadors". PR Newswire. March 18, 2015. Retrieved November 2, 2015. ^ Bonessi, Dominique (May 2, 2016). "Ballerina Misty Copeland immortalized with her own Barbie". NPR. Retrieved May 3, 2015. ^ Neff, Jack; Pasquarelli, Adrianne; Schultz, E.J. ; Wohl, Jessica (July 27, 2017). "Lowdown: See Misty Copeland's Newest Ad". Advertising Age. Retrieved August 2, 2016. ^ Block, Valerie (July 29, 2017). "Misty Copeland's grand leap to ballet megabrand". CNBC. Retrieved August 2, 2016. ^ Meehan, Sarah (April 23, 2014). "Under Armour to release earnings after roller coaster first quarter". Baltimore Business Journal. Retrieved May 8, 2014. ^ Rovell, Darren (July 31, 2014). "Under Armour bets big on a ballerina". ESPN. Retrieved August 1, 2014. ^ Dockterman, Eliana (August 1, 2014). "Watch This Inspiring Under Armour Ad Starring Ballerina Misty Copeland". Time. Retrieved August 2, 2014. ^ Chernikoff, Leah (July 31, 2014). "Proof That Misty Copeland Is the Most Badass Ballerina". Elle. Retrieved August 2, 2014. ^ Newman, Andrew Adam (July 31, 2014). "Under Armour Heads Off the Sidelines for a Campaign Aimed at Women". The New York Times. Retrieved August 2, 2014. ^ "A Ballerina Who Defies the Odds: Misty Copeland". ABC News. August 8, 2014. Retrieved August 9, 2014. ^ Nudd, Tim (November 30, 2014). "The 10 Best Ads of 2014: Sports, comedy, PSAs and pranks: Here's the work you wish you made this year". Adweek. Retrieved December 2, 2014. ^ Bryan, Bob (July 23, 2015). "Under Armour attributes its explosive growth to these 3 athletes". Business Insider. Retrieved July 30, 2015. ^ Meneses, Monique (February 9, 2017). "Misty Copeland Launches a New Under Armour Collection Amid CEO's Trump Controversy". Us Weekly. Retrieved February 15, 2017. ^ Ejiofor, Annette (February 12, 2017). "Misty Copeland Balances the Role of Ballerina Activist in Under Armour Stance". NBC News. Retrieved February 15, 2017. ^ Mirabella, Lorraine (February 15, 2017). "Under Armour CEO Kevin Plank responds to Trump tempest with letter to Baltimore". Baltimore Sun. ^ Hanlon, Patrick (July 19, 2017). "Under Armour Launches New Digital Campaign Using Misty Copeland". Forbes. Retrieved August 1, 2017. ^ Ergas, Talia (July 31, 2017). "Ballerina Misty Copeland Is Named the New Face of Estee Lauder's Modern Muse Fragrance". Us Weekly. Retrieved August 1, 2017. ^ Morrill, Hannah (July 31, 2017). "Misty Copeland Is Estée Lauder's Newest Spokesperson". Elle. Retrieved August 1, 2017. ^ Cusumano, Katherine (August 1, 2017). "Why Misty Copeland's New Estée Lauder Deal Is Such an Important Moment in Beauty". W. Retrieved January 9, 2018. ^ "ABT's Copeland, Lane Win Annenberg Fellowships". The New York Sun. July 15, 2008. Retrieved August 25, 2008. ^ "News". Dancing Times. Archived from the original on July 6, 2008. ^ Fuller, Jaime (April 24, 2014). "President Obama added basketball players, a ballerina and a celebrity chef to his administration today". The Washington Post. Retrieved May 8, 2014. ^ Isgur, David (November 3, 2014). "Groundbreaking Ballet Star Misty Copeland to Teach a Master Class and Receive an Honorary Degree". Hartford.edu. University of Hartford. Retrieved February 9, 2016. ^ Poisson, Cloe (November 9, 2014). "Misty Copeland: A Moving Success Story". Hartford Courant. Retrieved February 9, 2016. ^ Stahl, Jennifer; Perron, Wendy; Rolnick, Katie; Kay, Lauren; Cappelle, Laura. "Dance Magazine Awards 2014". Dance Magazine. Archived from the original on December 14, 2014. Retrieved December 10, 2014. ^ Italie, Leanne (October 29, 2015). "Glamour's Women of the Year: Witherspoon, Jenner, Copeland". Yahoo! Sports. Associated Press. Retrieved November 2, 2015. ^ Morris, Alex (October 29, 2015). "Ballerina Misty Copeland on Breaking Barriers, Loving Her Strong Body, and Realizing Her Dreams". Glamour. Retrieved November 2, 2015. ^ "Best in Dance". ShortyAwards.com. April 12, 2016. Retrieved April 14, 2016. ^ Akindele, Toni (April 12, 2016). "Misty Copeland, Taraji P. Henson, Dwayne Johnson, Kevin Hart and More Win at the Shorty Awards". Essence. Retrieved April 14, 2016. ^ Greer, Carlos (August 21, 2015). "Taye Diggs played matchmaker for Misty Copeland and her fiancé". New York Post. Retrieved August 23, 2015. ^ "Misty Copeland Dances Onto the September Cover of 'Essence'". Essence. August 9, 2015. Retrieved August 15, 2015. Wikimedia Commons has media related to Misty Copeland. "Cupcakes & Conversation with Misty Copeland, Soloist, American Ballet Theatre". Ballet News. April 11, 2011. Retrieved July 8, 2017. This page was last edited on 16 April 2019, at 20:19 (UTC).